Earlier this week, Telltale Games released a demo of the first 15 minutes of The Walking Dead: The Final Season. This is about as “event release” as it gets for Telltale Games, and the trail leading up to the game’s release on August 14 isn’t over yet. 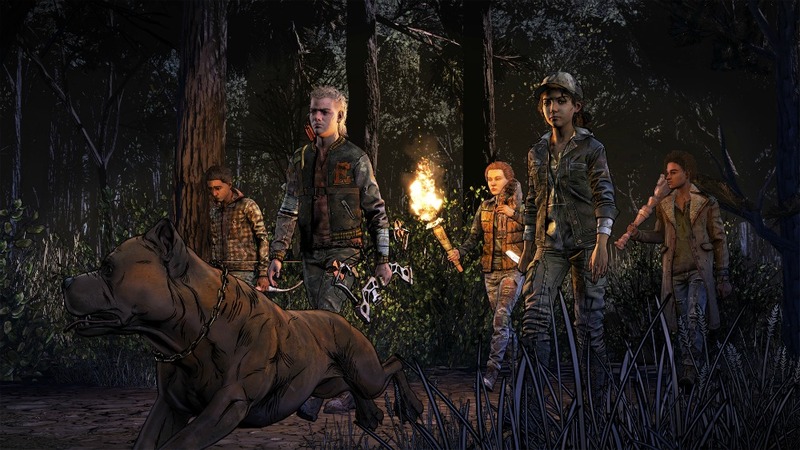 In case you haven’t been able to perfectly curate your save files over the years, Telltale Games has launched a new Walking Dead Story Builder tool that will utilize the company’s cloud-based account service to help players build (or re-build) their perfect story. The Walking Dead Story Builder is a browser-based tool, and is available for use right now. Per a press release, this is an “experience that allows you to relive the series’ most impactful story-branching moments.” One you finish, you can generate a save file that will be associated with your Telltale Games Account. Log into the same account when you start The Walking Dead: The Final Season, and you can start the game with your newly-created save. Alternatively, you can import your old save files as you’d expect. But that’s not all. There’s a little treat baked in as well. Once you finish the Story Builder, you’ll get a downloadable poster that is generated based on your choices. There are 32 variations in total, all designed by Telltale artist Todd Pound. The visuals of the Story Builder itself were created by comics artist Dan Panosian and animator Daniel Kanemoto, who animated the original trailer for the first The Walking Dead Telltale game. Here’s the link to the Walking Dead Story Builder.